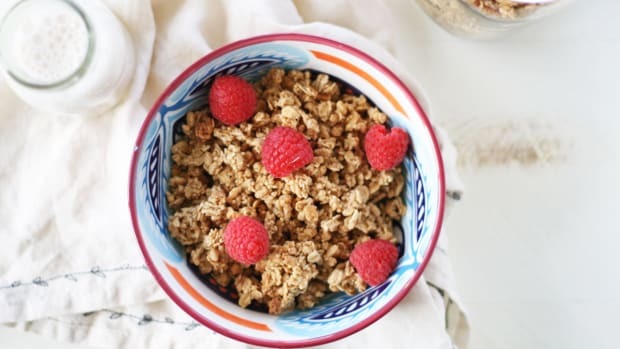 On bustling mornings, it’s so easy to be tempted to skip breakfast. 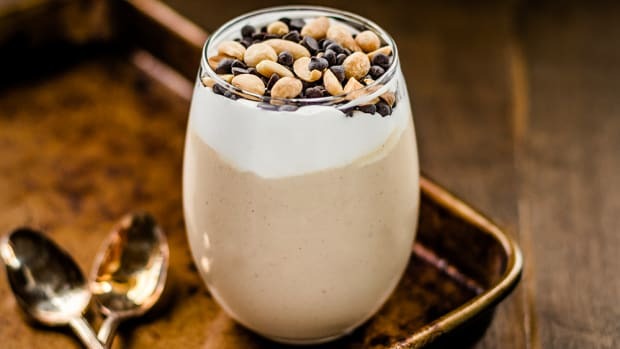 But with only five ingredients, this protein-packed peanut butter smoothie will fit easily into your schedule no matter how busy it is. Peanut butter is the perfect addition to smoothies for two reasons. First and foremost, its creamy texture and slightly salty flavor are swoon-worthy. Secondly, it is full of protein which will energize and sustain you throughout the day. 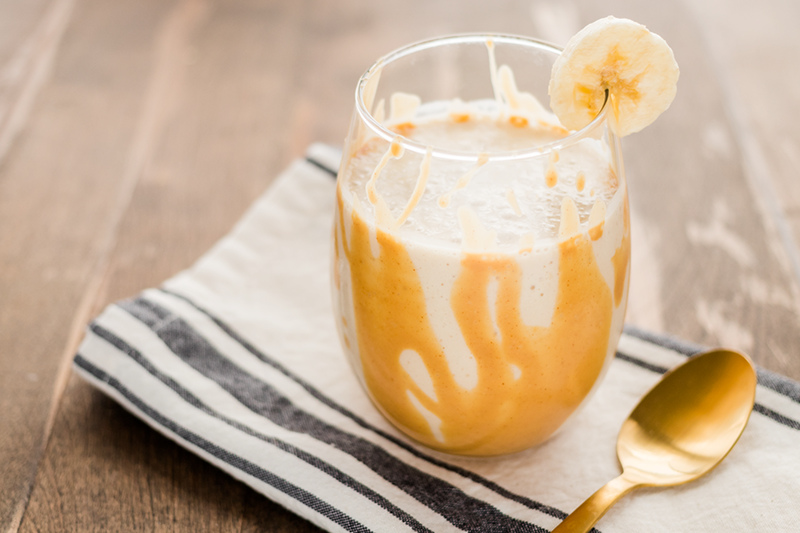 Bananas serve as the perfect base for this smoothie. 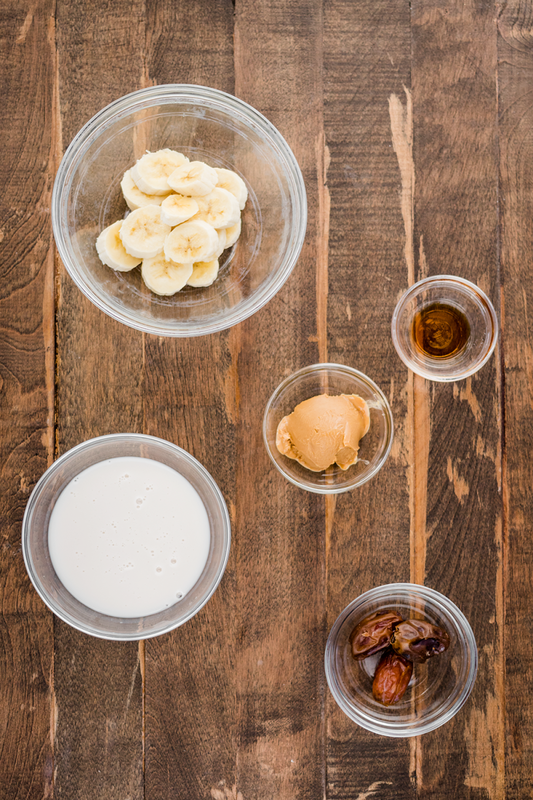 Once frozen, bananas blend up into an ice cream-like texture, which makes smoothies extra thick and creamy. 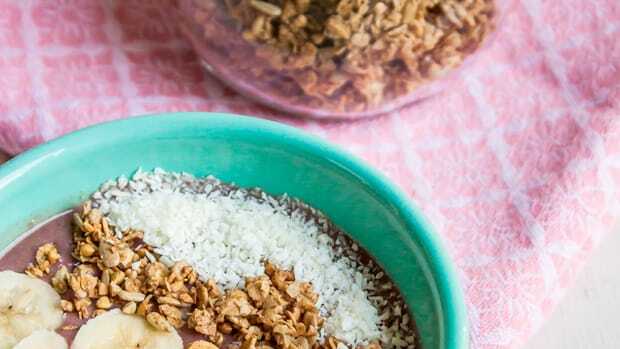 You’ll want to make sure your bananas are ripe for this recipe. They’ll be ready for freezing once they have brown spots on the peel and have softened slightly. 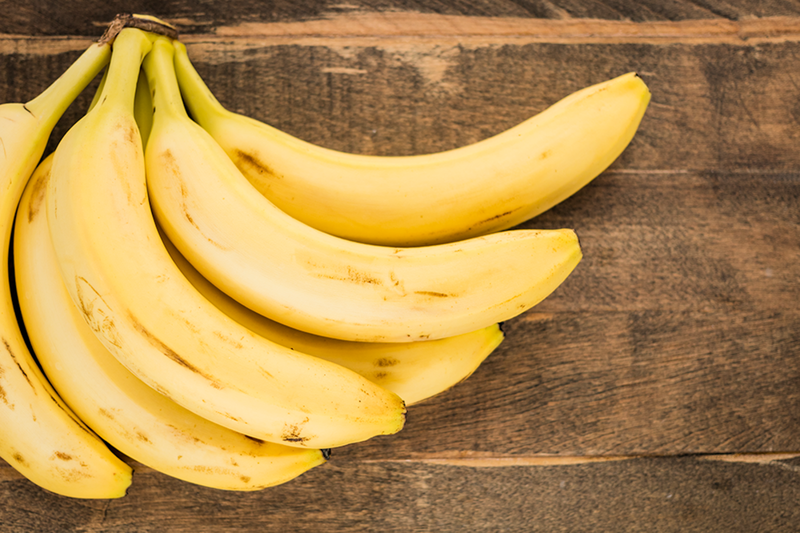 While bananas are not on the Dirty Dozen list and are suggested to be protected from pesticides by their peel, buying organically grown bananas is more beneficial. The chemicals used in growing conventional bananas leech into the soil so even the fruit inside can contain trace amounts. Plus, organic farming is safer for the planet, not to mention the banana growers. Choosing a high-quality, organic peanut butter will ensure your peanut butter smoothie is truly healthy. Peanut butter is notorious for being victim to artificial colors, flavors, and added sweeteners. When buying peanut butter, check the ingredient label. You should only see peanuts and possibly sea salt listed on the label of truly natural peanut butter. Another tip for buying healthy peanut butter is to grind your own. Many natural food stores including Whole Foods Market offer machines in which you can grind peanuts into peanut butter on site. This smoothie is made sweeter with a touch of dates. 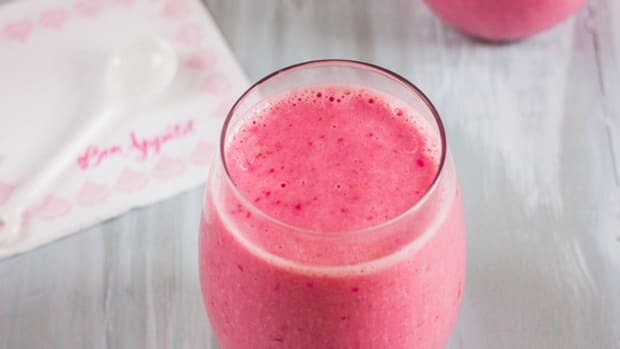 Usually, one will make it plenty sweet but if making the smoothie for children, you might want to add an extra. Medjool dates can be purchased at natural food stores in the bulk bins or at grocery stores in the dried fruit section. Besides their protein content, peanuts also contain copper, manganese, vitamin B3, molybdenum, folate, biotin, phosphorus, vitamin E, protein, and vitamin B1. Peanuts are also heart healthy given they contain monounsaturated fats which have cardiovascular benefits. Eating potassium-rich foods such as bananas has been suggested to reduce the risk of stroke. 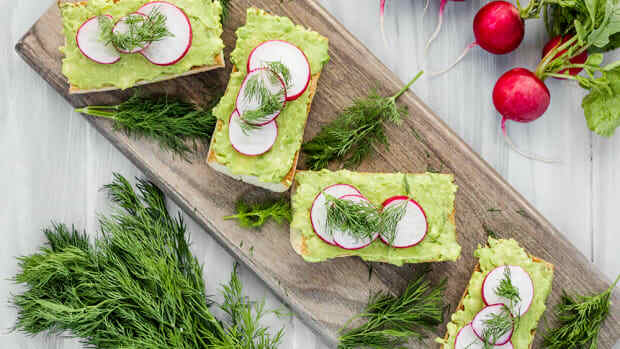 In a study conducted by the National Health and Nutrition Examination Survey, low potassium levels were found to be associated with increased risk of stroke. In addition to being an excellent source of potassium, bananas are also chock full of vitamin B6, manganese, vitamin C, fiber, copper, and biotin. 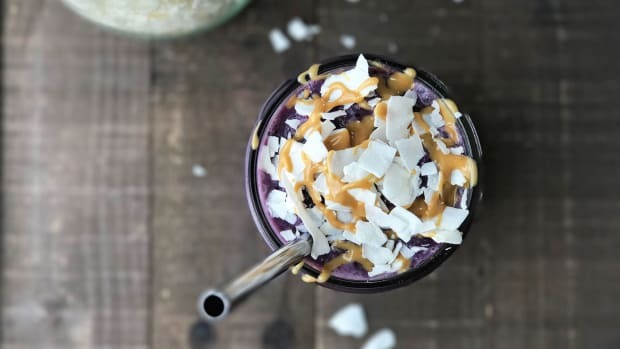 Another burst of potassium is added to this smoothie by Medjool dates. Plus, dates are also a great source of fiber, magnesium, vitamin B6, iron, and protein. 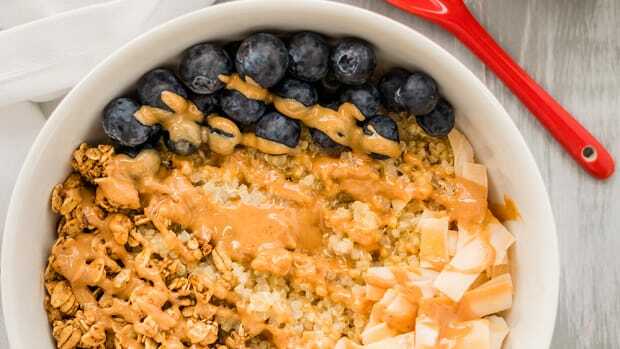 The night before you make the peanut butter smoothie is the perfect time to prepare. Start by freezing four ripe bananas. Be sure to peel and chop them before freezing. The next morning, they’ll be ready for use in your smoothie. Also, check your dates the night before. If they feel tough then you will want to soak them in water to make them blendable. 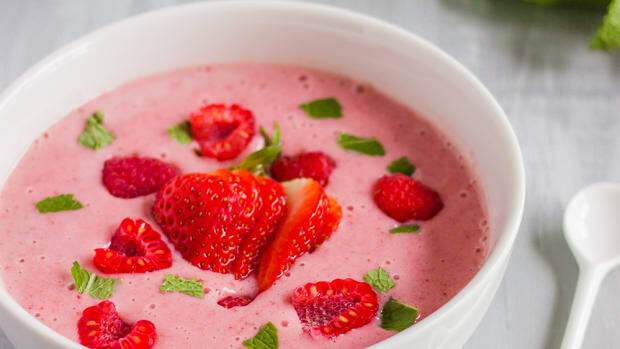 You can also speed up the smoothie-making process by having a high-speed blender, rubber spatula, measuring cup, and spoon all ready for use. Add the almond milk, vanilla extract, peanut butter, dates, and bananas to a high-speed blender in that order. Blend for 60 seconds or until smooth. Scrape down the sides if needed during the blending process.